GRAMMY Award-winning rock band SWITCHFOOT have released their 11th full-length album, Native Tongue. Throughout 2019, SWITCHFOOT will take the project's message of love and hope to their multitude of fans on the North American leg of their Native Tongue Tour. Read More GRAMMY Award-winning rock band SWITCHFOOT have released their 11th full-length album, Native Tongue. Throughout 2019, SWITCHFOOT will take the project's message of love and hope to their multitude of fans on the North American leg of their Native Tongue Tour. This is an overall upbeat positive album. This is none more apparent than on the opening track 'Let It Happen'. This song is a classic Swtichfoot melodic, big chorus sound and for me is a beautiful song that leaves you with a smile on your face. The message is all about the future being unknown. It's great to have Switchfoot back. It wouldn't be one of my reviews without a silly comment and I kind of feel really stupid saying this, but the musicianship on this album is world class. Yes you would expect it from a band on their eleventh album, but the creativity of the band and the passion and sound is still up there with the best. The older Swtichfoot have got the more creative their albums have become. The track 'All I Need' is a bit more chilled. Closing track 'You're The One I Want' is not a cover of a track from the musical Grease, its a truly epic ballad with Jon Foreman slightly sounding like Bono. The song 'Dig New Streams' is very Beatlesq, it's the kind of sound that you would compare to The Beatles album Sgt Pepper. For me it’s the stunner of the album, I’m not sure everyone will get it as a song, but for me it's great. The Beatles influence continues on the guitar solo in 'Wonderful Feeling' which has a very George Harrison sound to it. What I have always been impressed with by Switchfoot is the fact the band have kept to their rock routes but also moved it forward. I suppose a track like 'Native Tongue' and many others on this album could be described as sounding like the band Imagine Dragons. Switchfoot have always wanted to be on trend but also keeping to their routes and with this release they do just that. I love the album. It seems to have everything that Switchfoot fans will want and love. Classic Switchfoot. Big melodies. Big choruses. Heartfelt songs and a powerful message. Is it my instant favourite Switchfoot album? No. Is it a good album, yes. Does it try and pull us together with it's themes, yes. 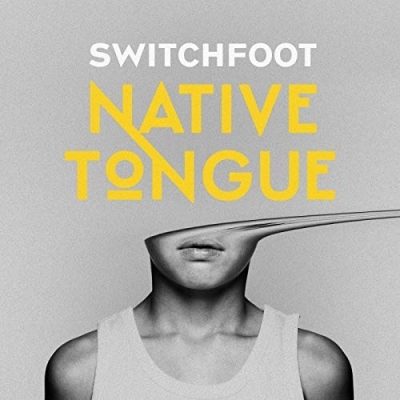 Switchfoot's New Album 'Native Tongue' Out Now!